Provide a world class experience to patients leading to increased brand reputation and more patient referrals. Reduce inventory leakages and use analytics to make informed decisions leading to increased profits. Synchronized system with inter department connectivity helps you in streamlining operations. Automate workflows across departments to ensure optimum productivity levels of your team. With a HIPAA compliant system coupled with secure data storage with multiple back-ups, you now have to no more worry about security of your data. 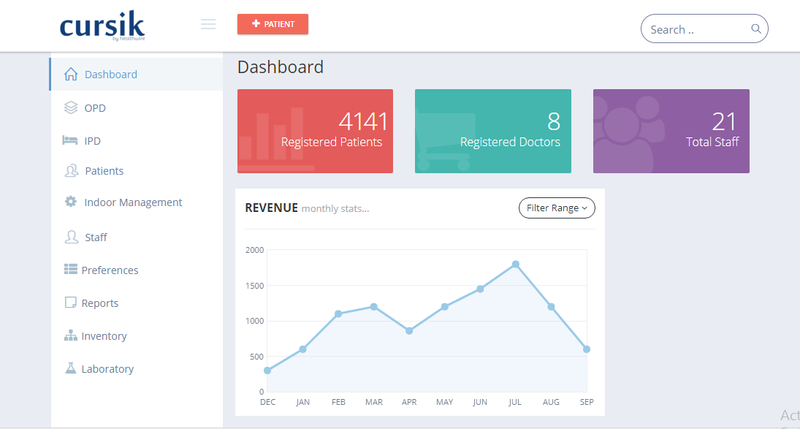 With a clean interface and simple workflows staff and doctors can very easily use the system with out any any need of prior computer usage. Our team is also always available to train the staff. Our telephonic customer support team is available 24/7 to address any issue faced by the doctor or staff. Customer support is available on the ground also to resolve issues and train staff. With zero upfront cost, the total investment of digitizing your hospital is greatly reduced. Automation of workflows along with inventory and payments control helps reduce leakages leading to increased revenues. Trusted by 15+ Hospitals across seven cities.